Responsible whale watching can bring many benefits to whale watchers, tour operators, communities, and even the whales or dolphins themselves, if managed carefully. While all stakeholders involved in whale watching have a role to play in maximizing these benefits, whale watch operators have the greatest opportunity to do so through the manner in which they design and market their products, and interact with customers, local communities and the whales and dolphins they are watching. Whale watch tour operators have the potential to inspire people by providing them the opportunity to connect with nature and marvel at some of the most intelligent and graceful animals on the planet. 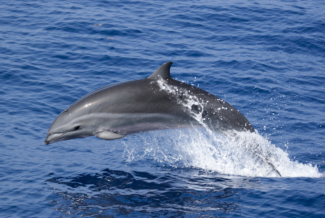 Some individuals, particularly children or students, may be so inspired that they find ways to dedicate their lives to the conservation of whales and dolphins or other marine wildlife or habitats. Research confirms that whale watching experiences have the capacity to increase participants’ environmental awareness and conservation intentions1-3. Responsible whale watching can also raise awareness among the local community and foster a sense of pride and stewardship for what they will come to consider ‘their’ whales or dolphins. It is not uncommon to find communities where perhaps only fishermen were even aware that whales and dolphins were present in their coastal waters until a whale watching industry was initiated. As whale watching and related tourism services begin to generate income and employment for the community operators can be recognized for the contributions they make. The increased awareness among tourists and local stakeholders can also lead to long-term benefits for the whales and dolphins themselves. If the animals drew little attention prior to the establishment of whale watching, local stakeholders may not have been aware of the potential threats to their well- being. Threats faced by whales and dolphins around the world include accidental entanglement in fishing gear, noise and water pollution linked to coastal development, shipping or oil and gas exploration, and other forms of habitat loss or decline. When whale watching activities raise the profile of whales and dolphins and their value as a resource that can generate revenue, local stakeholders are likely to be more motivated to address any threats to their survival. On a practical and direct level, whale watch operators are the most likely to observe any injured or entangled whales or dolphins, or other marine threats, and be able to raise the alarm to initiate an appropriate response. Operators also may engage in collaborations with researchers, e.g. by offering free spaces for scientists on board, or by collecting sighting or other data from their vessels, turning them into “platforms of opportunity” for scientific studies. More indirectly, operators can act as the catalysts among local stakeholders, including NGOs to promote good environmental management and conservation practices to preserve the resource upon which their industry relies. Seeing wild animals in their natural environment is the best way to offer an experience which is informative and educational. The table below highlights some of the values and benefits of responsible whale watching, and ways that operators can maximize these benefits for themselves, their clients and others. 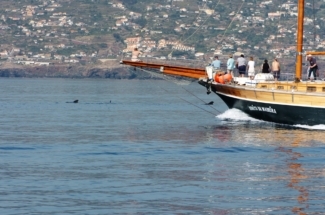 These are based on the practices of some of the most successful whale watching businesses around the world. Provide guests with the space to enjoy a sense of connection with nature. Avoid crowded situations with multiple tour vessels. Consider turning off engines at various points during the tour to provide peace and quiet. Consider taking the ‘long way home’ to show guests a scenic view. Consider organizing beach clean-ups or other community/awareness raising activities. Be prepared to report and seek help for injured or entangled whales or dolphins or recover /document dead animals found at sea, to enable investigation of cause of death.